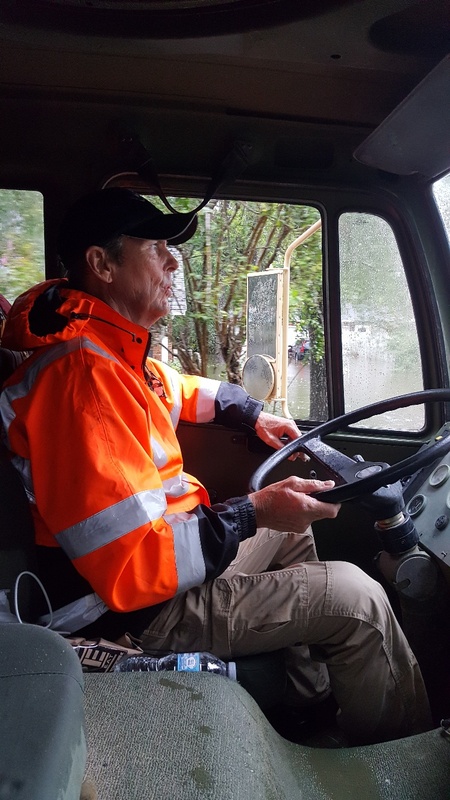 I was team lead and driver of TEXSAR’s LMTV, our high clearance vehicle, during hurricane Harvey. We were going non-stop for 11 days. Performing many rescues, evacuations and shelter support missions. During our time supporting the Galveston County OEM, one of our many assignments was to clear locations of unanswered 911 calls. We were to drive to the addresses and check them for people. After many hours of navigating through the badly flooded streets and pelting rain, we were discovering most of the homes empty, and we became frustrated, knowing that every minute we spend in futility on these empty addresses was a minute we could be saving someone still trapped in their home. We persevered and found many during this time, but one call stands out to me. We were working late at night and our address to clear was down a street that was very heavily flooded. The water was so deep the headlights of the high clearance vehicle were under the water forcing me to drive with a flash light out the window while slowly navigating through murky water 5 feet deep. Upon arrival at the home we quickly found our subject, an older male with health issues. He had been there for several days with no help. We were successful in getting him out and to a shelter where he could receive the care he needed. The take away from this event is when it seems like you and your team are working hard with no success, never give up! Work together and rely on your training.